Load stacks of insulation into, or onto, our trailer. When the trailer is close to full you contact our dispatch office to arrange a swap. 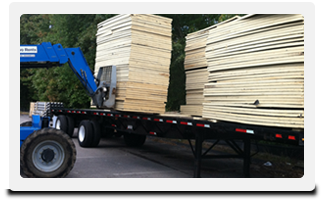 We will coordinate to deliver an empty trailer and take away the full one, assuring that you always have a trailer on site. Live loading is also available.